May 11, 2014. The best first-day question ever asked by a CAC participant: FACT – Well, it may be, it may not be, but to be asked, “In all the countries you have visited, what do you think is the biggest obstacle in the way of equality?” on the very first day of training says a great deal about the wonderful people we work with. Oti leads the coaches in a fun game of Head-Catch, think fast! 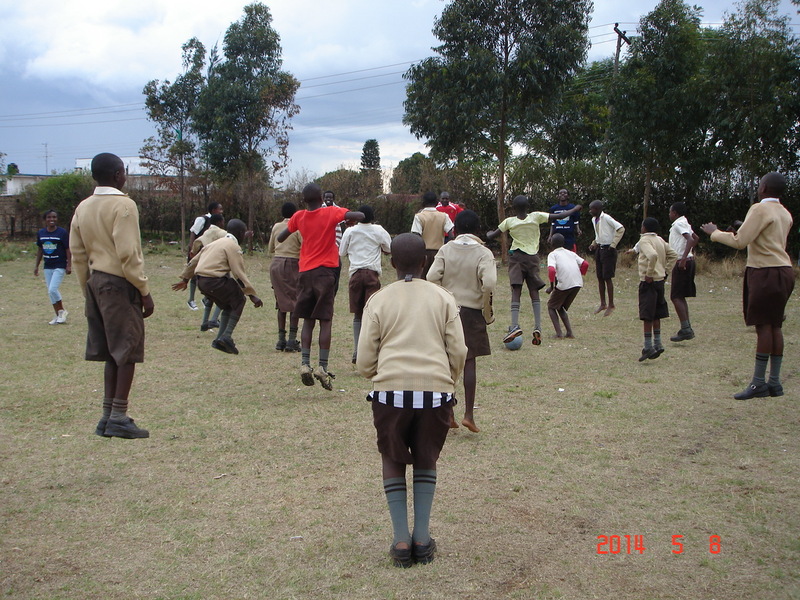 CAC continues its journey through Kenya, planting the seeds of social impact across this beautiful country. 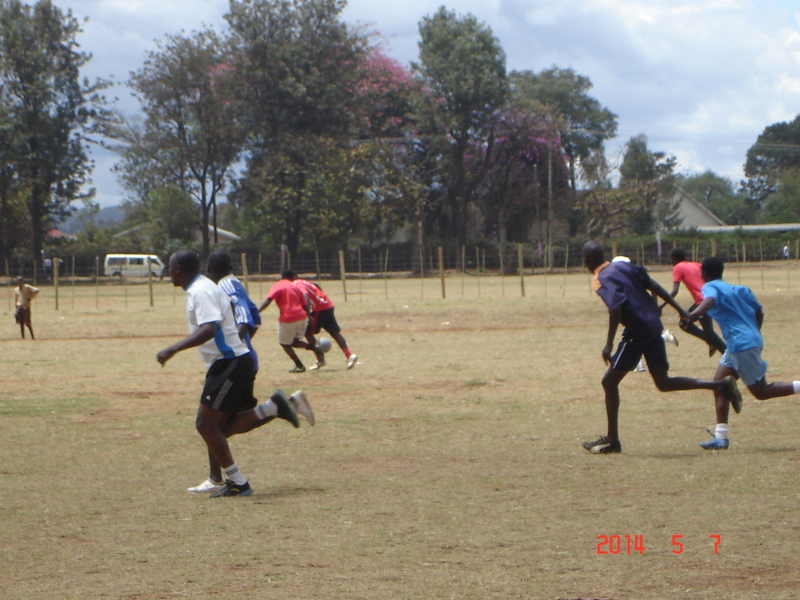 Last week found us in the city of Eldoret, known for its consistent success in athletics, but with a passion for the beautiful game that feeds right into the CAC fire. Senior staff member, Nora Dooley, leading our programs in Kenya this year, was joined by Community Impact Coach, Charles Otieno Sisia (Oti), from one of our most valued partners, Vijana Amani Pamoja (VAP), as they trained the coaches in the sports network created by KESOFO (Kenya Community Sports Foundation). The group of participants this week included a wide range of characters, all with big smiles and big personalities. Our team, as always, had the welcome challenge of designing a curriculum that accommodated everyone, from very little football experience to lifetimes of playing and coaching the game, from referees to players to teachers, and even some journalists thrown in the mix, there was a wonderful mélange of culture and experience. All in all, the games this week went fantastically well as the participants were always ready to have fun and truly grasped the notion of using the power of football as a means of education. There were the usual favorites such as 95% Football, Adebayor Uses a Condom Tag, and Scary Soccer, but there were also some new standouts, the rising stars of the CAC curriculum. One of these games we are calling the Pairs Scrimmage – self-explanatory and unbelievably fun! Players must not let go of their partner’s hand while playing a regular game of football. This simple adjustment begs next-level teamwork and communication and the participants were seldom without a smile while they played. Another new game is part of our Child Rights module. After an enlightening Child Rights Protection discussion where equality was the prevailing issue, we played our Right of Children with Disabilities Game. This is another game that is, seemingly, a simple game of football. Then we add changes to trigger the desired social impact, and in this case that meant restrictions. One player on each team could only play 1-touch. One player on each team could only play with one of their feet. One player on one team had to play with one foot by jumping on that foot, while one player on the other team had to play with their arms behind their back. Two players could only walk, while the rest were without restrictions and could play as they pleased. We discussed the game afterwards and when asked why we play this game, participants responded with answers like, “challenging us to solve our problem!” – which we love – or “punishments if we make a mistake.” The latter response played perfectly into the matter at hand – were they punishments? Did you do anything to deserve them? The participant in question realized they had not, and then we transitioned into the discussion about whether people with physical and mental disabilities ask for those circumstances at birth. Of course not, so why should they be treated any differently from anybody else? This game provides a striking visual of the realities of having disabilities, the importance of understanding the difficulties that so many people struggle with every day, and the overwhelming need for social inclusion. Chalk it up to another terrific week in Kenya. These now CAC-certified coaches are some of the strongest, most assertive leaders we have worked with. 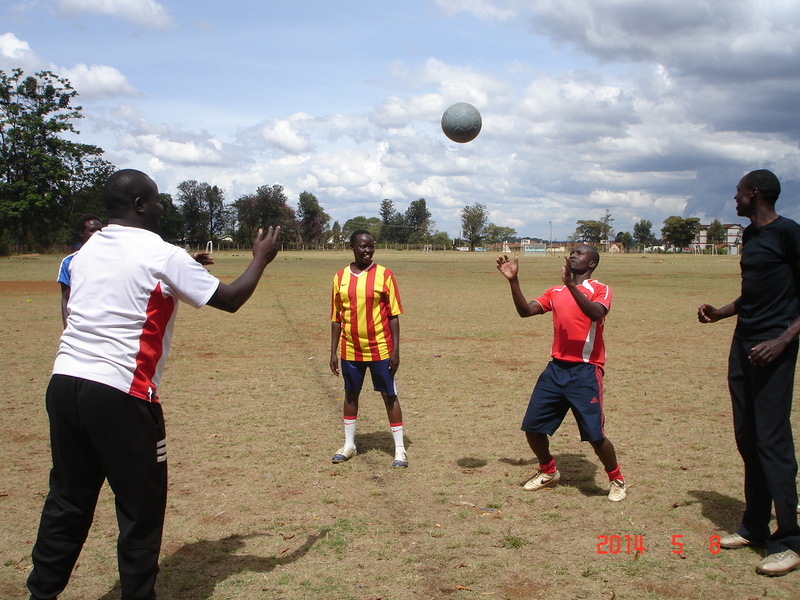 From what our team saw during coaching sessions with children in the community, and from what we heard during discussions and closing remarks, these men and women get it – and they will undoubtedly be spreading the love, continuing to work together to harness the power of football in the greater Eldoret region in the name of youth development, female empowerment, and above all, equality. Love what you’re doing Nora!